I recently reviewed William Eggleston’s Los Alamos Revisited, a large three-volume collection of photos from 1965 to 1974 that Eggleston shot traveling across the United States. This fascinating book has hundreds of photos on nearly 600 pages, and when it was released in 2012 – following another big box set, now out of print, Chromes, from 2011 – it was considered to be a goldmine of extraordinary photos by this great photographer. It’s hard to overestimate the importance of this body of work, even though the sheer quantity is overwhelming. Volume 1: The Louisiana Project was initially created as a standalone book. With an introduction by Eudora Welty, this book contains photos of that state. It contains a number of landscapes – not the usual subject matter of Eggleston, but more about that later – photos of decaying plantations, decrepit buildings, and more. 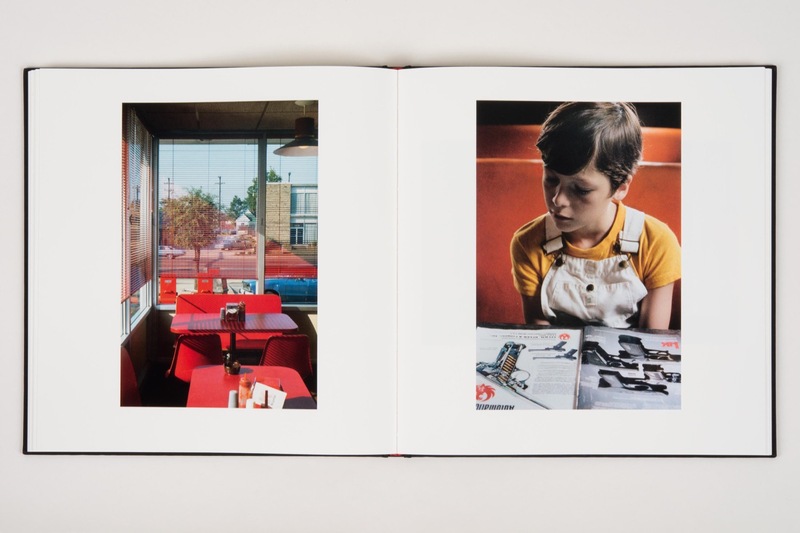 Volume 2: The Language is a sort of primer to the art of William Eggleston. You are invited to discover Eggleston’s quirky subjects and framing, and his use of color. There’s a lot of red in these photos, and there are a lot of cars, buildings, and signs. Volume 3: Dallas, Oil, Miami features photos of the buildings and oil rigs of Dallas and its surroundings, and of Miami, and the slightly archaic colors and designs of its buildings that recall the 1950s. The oil rig photos are interesting, with subjects of heavy objects, chains, pipes, and working men. Volume 4: Pittsburgh contains a lot of street photography. 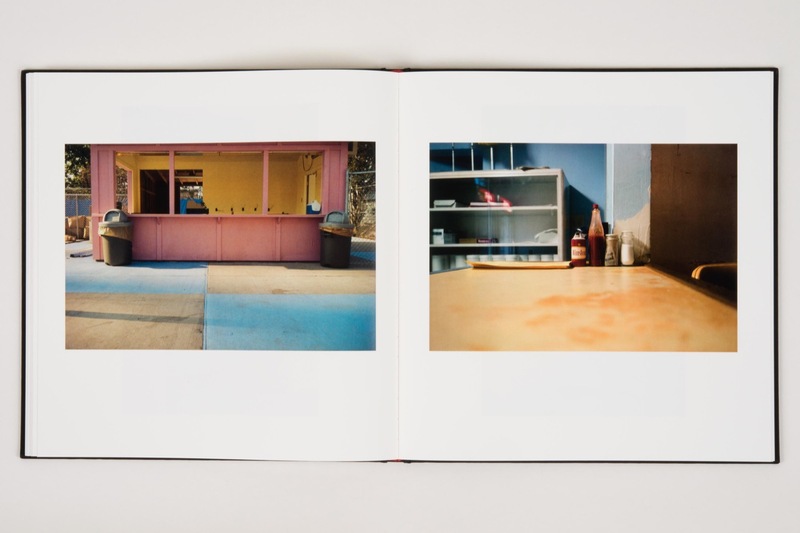 But with Eggleston, this doesn’t always mean random people looking interesting, it is often streets, empty, or with cars. There are photos with people, but there are more of buildings and store, parking lots and bridges. 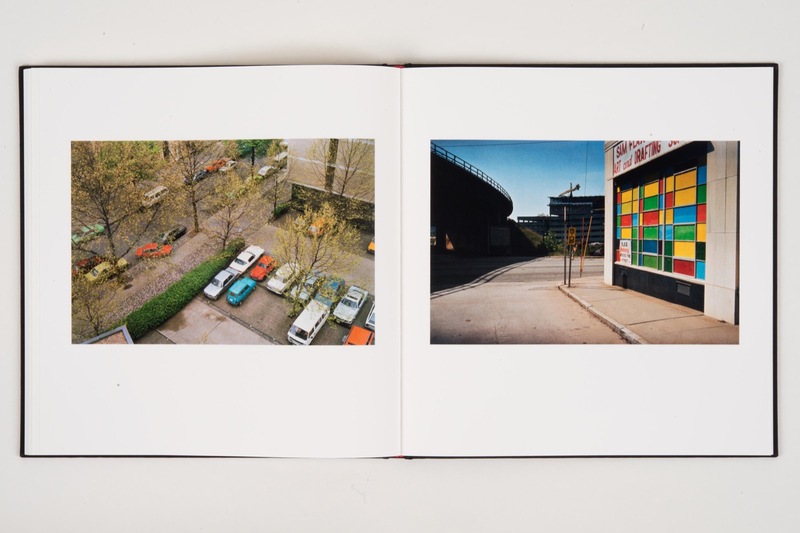 Volume 5: Berlin shows Eggleston out of his comfort zone, and this is, perhaps, the least interesting volume in the set. The photos try to capture subjects that he is used to photographing, but there’s something not quite as interesting about these pictures. They look like photos of a tourist, granted that tourist being a master photographer. Volume 6: The Pastoral is a stunning collection of landscapes. In the true Egglestonian manner, some of these are of isolated trees and branches, others of a country house in England, and some of winding roads in the United States. But there’s a refreshing feeling to this volume, as Eggleston is far from his usual urban landscapes and delves into the countryside. 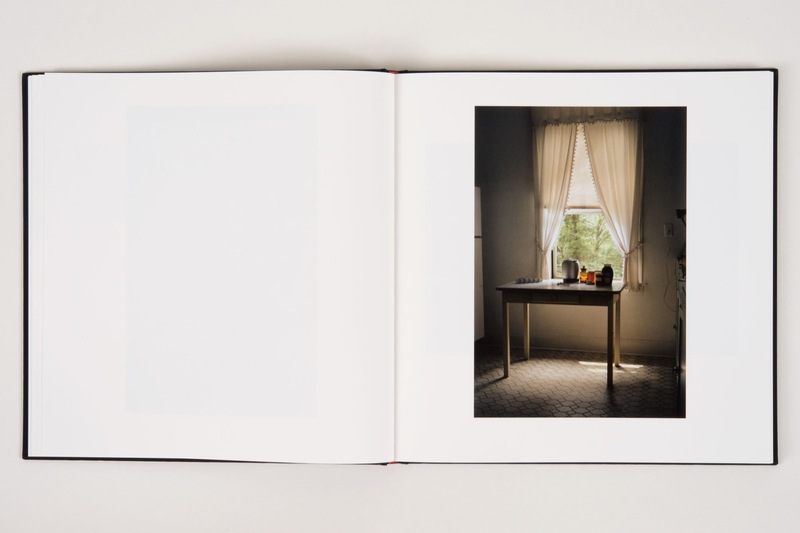 Volume 7: The Interior is a striking collection of photos shot indoors, or on porches, on in stores or restaurants. Some of them look like they might be Eggleston’s own home – a photo with a few Leicas suggest this – and others could be anyone’s home, office, or church. Volume 8: The Surface is vintage Eggleston. Buildings and lawns, jumbled toys and messy rooms, and lots of color. This is a volume of light and shadow, of color and contrast, and contains some truly stunning images. Volume 9: The Forest looks at Eggleston’s obsession with signs, cars, masts, poles, the urban forest that we see all the time (at least those who live in cities see it), but never really notice. This is the true urban forest. Volume 10: The Finale returns to the mundane, the broken, decrepit buildings, empty parking lots, some interiors, shots of a civil war battlefield memorial, and ends with some stunning landscapes with clouds. 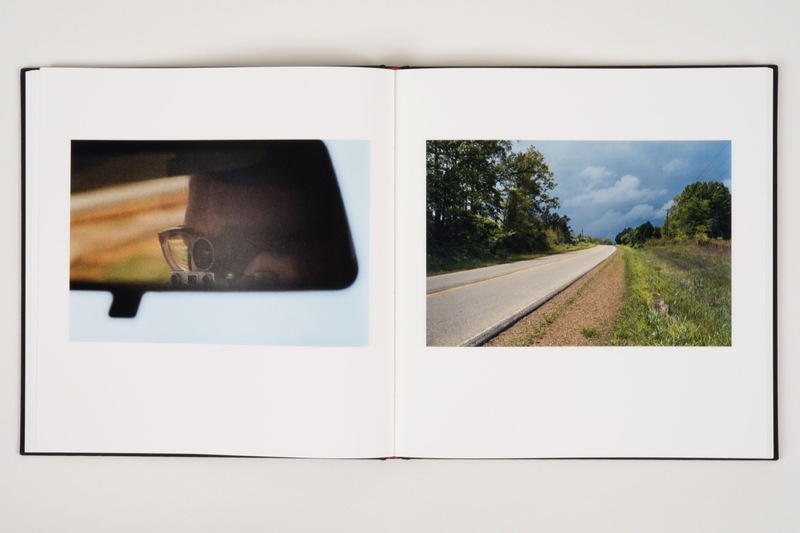 The final photo is Eggleston himself, partly visible in the rear view mirror of a car, as he crosses the country seeking out subjects. My descriptions may make this sound boring, but if you’re familiar with Eggleston’s work, you’ll understand why I mention the subjects the way I do. As he famously say, “I’m at war with the obvious.” His approach to photography is finding subjects that are interesting not because they are specific items, but because they contain light and color and shadow and lines. This is what he means by “democratic,” that anything can be the subject of a photography. 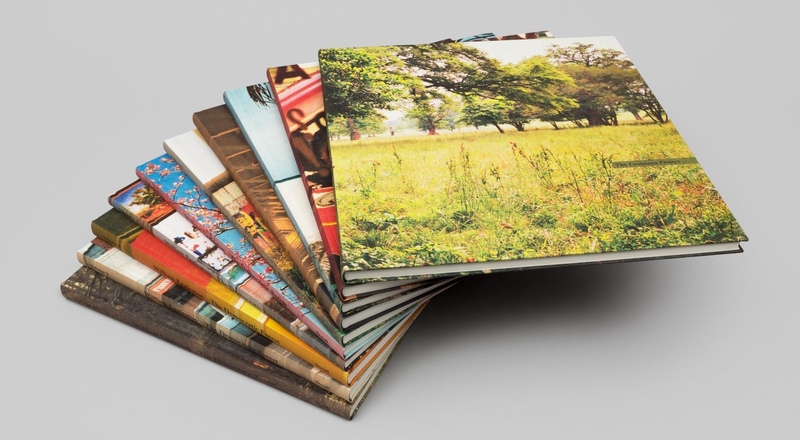 It’s important to note that Eggleston didn’t plan these volumes, and may or may not have had a lot of input into the selection and sorting of the photos. Only the Louisiana Project was created by him, and while the split in this set is thematic, the photos are arbitrarily grouped according to themes that could have been different. looking at William Eggleston’s photos enough makes you see the world through his eyes. His framing, the angles he use, and the subjects – the usually ignored details of life – all make you rethink what a photo is. And if you’re hesitant about committing to something this size, Los Alamos Revisited is about half the cost, and contains hundreds of wondeful photos as well. I’m very glad I own both of these sets, and I wish I had discovered Eggleston in time to have bought Chromes (Amazon.com, Amazon UK), which sells for exorbitant prices. Steidl told me that there are no plans to reprint it, so if anyone has one they want to sell cheap, get in touch.